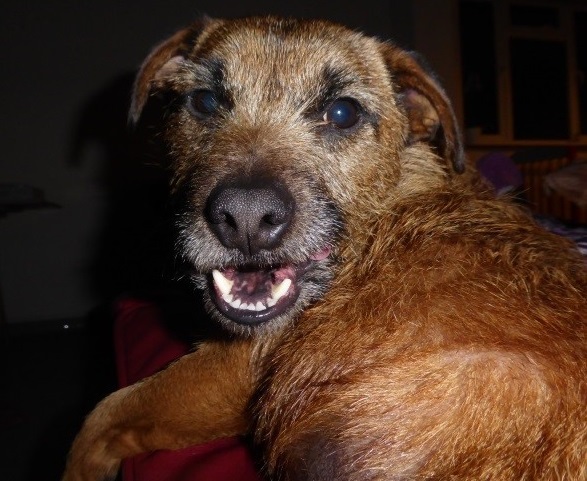 Woody is a 5 year old male Border Terrier Cross. Woody came in and was rather nervous and defensive initially, we have no idea what his past held but it clearly has not always been kind to him. 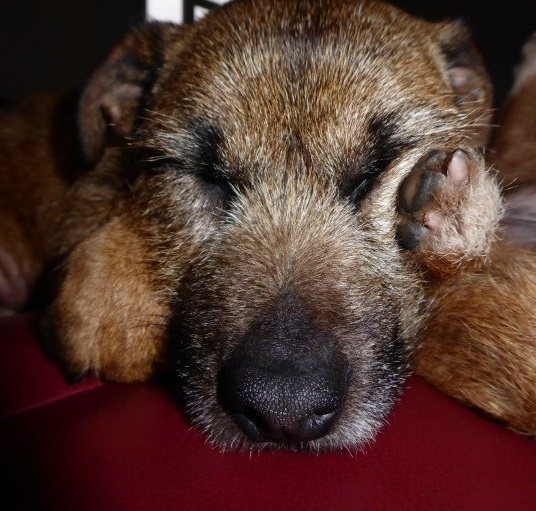 He has come on well since settling into foster and is a lovely lad once he has settled and trusts. 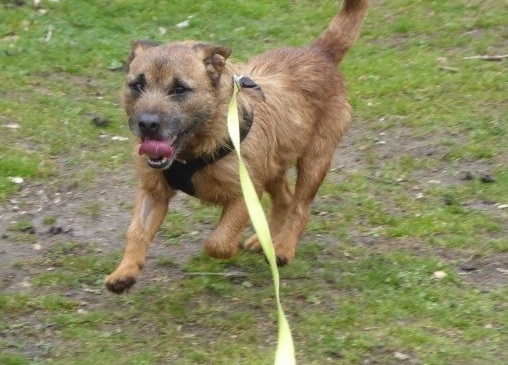 Woody can be unpredictable around other dogs so we feel he would be best re homed as an only dog. Ideally he would be best suited to a more rural less densely dog populated area. He is an energetic lad who will walk for miles and miles as long as you are happy to walk he will be beside you. 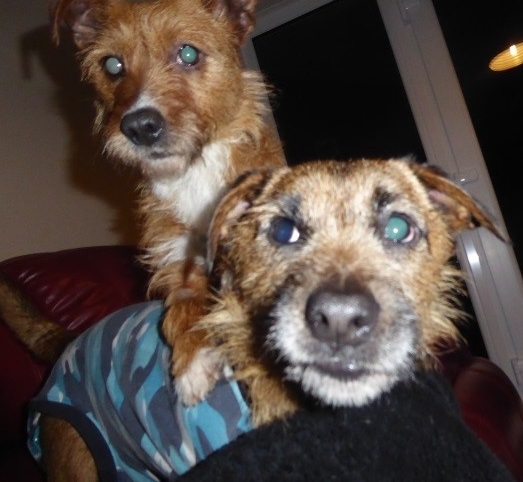 Woody travels really well in the car and was both clean and quiet, he had a few accidents initially but is improving greatly, he has been through a lot so it is understandable and should soon settle down once he feels secure. Woody would like new owners who are round for a good part of the day. We only have a very limited history for Woody so any children should be older teenagers please. We suspect that Woody would have a high interest in cats and small furries so a fluff free home please. He has been neutered, vaccinated and micro chipped and is up to date with flea and worming treatment. He is currently being fostered in Woolwich London.